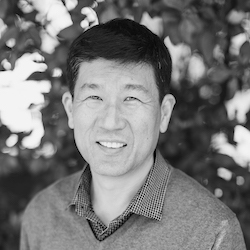 Keon-Sang An is associate professor of Bible and mission at Fuller Seminary and academic director of its School of Intercultural Studies Korean Program. Working with GMS (Global Mission Society) and SIM (Serving In Mission), he previously served as a missionary in both Eritrea and Ethiopia. He taught biblical and missiological studies at Kale Hiwot Bible School in Asmara and at Evangelical Theology College in Addis Ababa. The author of An Ethiopian Reading of the Bible: Biblical Interpretation of the Ethiopian Orthodox Tewahido Church (Wipf and Stock, 2015), Dr. An has academic interests that include spiritual and vocational formation, contextual theology, mission theology, and missional hermeneutics. Learn more about Dr. An on his faculty profile. Learn more about the Korean Center here.